True. Its about what we choose.!!!!! 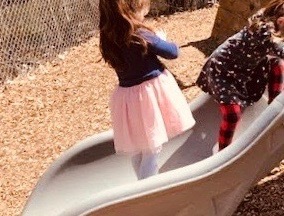 They love to walk up the slide! So lovely and true 🙂 And I loved the quote! Aren’t the simple truths the best truths? And even the winding road! When you are finished, you will see that you have visited many more places than a long straight journey.. Each beautiful, no more or less right or wrong, I think. thank you for the smile! 🙂 it is such a pleasant thought.